One of the best ways to get more likes and followers for your Facebook page is to push your Facebook page to the top position in Google search results. You Facebook page can receive a lot of organic traffic from search engines. Here are some actionable tips compiled that can be applied to any sort of Facebook page and will help you in outranking a massive competition for the similar keywords. This is one of the preliminary factors for Facebook page and SEO. What really Google considers is the posting frequency that you have maintained on your Facebook page. With a frequent posting routine, you make Google think of your page as a highly active and user engaging. Make regular posts including trending images, videos, and content that lets users participate on a large scale. Also incorporate relevant keywords and hashtags to get your posts quickly discovered by more people. In this regard, Fan Page Robot’s Facebook autoposting features are really handy and will make your posts automatically posted as per set schedule. As much your users are engaged with your stuff, that much your page is likely to earn higher ranks. A higher engagement rate is an indication of real and active followers instead of bots or fake ones. When users get engaged with your posts in the form of comments, likes, shares or discussions, it makes your posts stay fresh and longer. Furthermore, you will have more visibility in the target niche that will let more people like or follow your page. Another eminent factor in social media for SEO is to get more likes or followers to your page. The followers count is an indication that how much your page is trusted by users. Usually the fan pages with the most fans show up at the top of the search results. In order to boost your startup page, it is recommended to buy Facebook likes from a genuine seller that will help you gaining more followers in future. Fan Page Robot further aids you in this regard by providing real likes/followers at a cheap price. You can increase the followers count through a genuine process. This will result in a growing fan base with visibility of page. 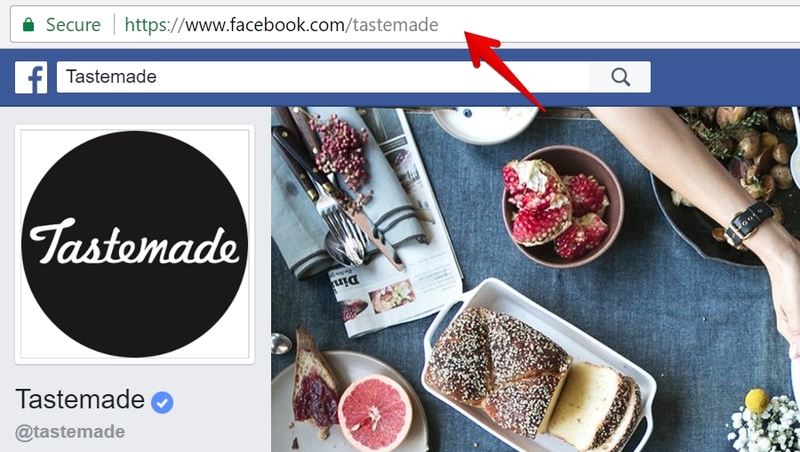 A customized URL might be a game-changing element for your page. Many of the businesses try to incorporate any of the main keywords while setting URL for their Facebook page. But it is not a good practice. You must go to a URL that is based on your brand name. It creates a consistency for your brand’s existence on the Internet. And people find it easy to remember your page’s URL. Getting relevant, quality and secure links to your page is an important element in social media SEO. As you have always worked harder for acquiring external links to your website or blog, you also have to acquire links to your Facebook page. You can experiment various tactics to secure such links, writing guest posts on authority websites and posting your Facebook page’s link in the bio section. Similarly, participating in communities, discussion forums will also get you valuable links. Other than the mentioned ways, you can also earn links from local directories like Angie’s List, Yelp etc. Ask influencers of your niche to share your profile on theirs so you will have more links this way as well as a higher visibility. Competing for too broad keywords will not let your Facebook page outrank others. In fact, you will be lost in a fierce competition. Targeting narrower and relevant keywords will help you remain focused and achieve the desired position in Google. Besides external links, it is a smart tactic to gain In-Facebook links. As Facebook 'no-follow' the external links but not the internal ones. A simple tweak to apply on your Facebook page SEO is to gain links from Facebook to your Facebook page. These Facebook links must be real and visible. Visible links correspond to the ones that are on profiles or pages having open privacy settings. You are working on your Facebook page for SEO. But don’t forget that it's a place for social interaction and building a reputed brand image. So, you have to take care while inserting SEO-rich text. Don’t embed your social posts with SEO-rich text. You can do this on your About and Info sections. Suitably inserting keywords and hashtags in social posts will keep your page balanced in the eyes of facebook and Google. Multimedia makes your Facebook page more captivating and engaging. Putting SEO optimized titles for your videos can bring more benefits to the page. Similarly, you can name the files containing images and logos keeping SEO in mind.